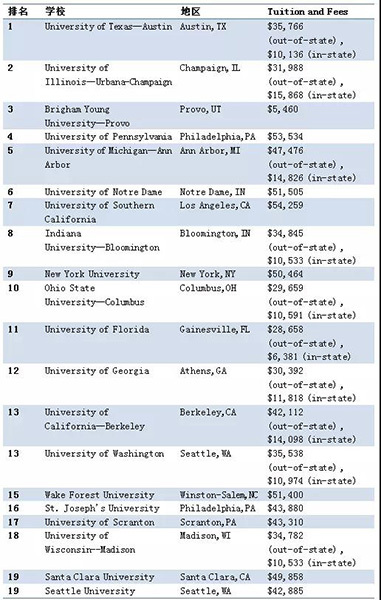 "The Economist" has done a survey on the choice and return of American universities. “learning what major” is more important than “learning in which school”. their average return on investment is basically parallel. Liberal Arts related majors: Good schools and bad schools come out and their average return on investment will be a certain gap. Therefore, if you consider from salary, it is not your going to a famous university, but what kind of major you are going to learn. Going to a good university is certainly worth investing, but this value will expire. The professional knowledge you learn is more important than where you study. and more than half of international students Students will choose one of these three majors. and life sciences (9%) account for 40% of all Chinese students. Business/management is also a popular specialty for domestic students, accounting for 28%, and has continued to grow in recent years. There are many sub-divisions in the business department. Let's take a look at the US News rankings of this year's commercial divisions. The accounting work is to collect, process, and summarize financial and economic data and use it as a scientific basis for guiding business management decisions. Accounting and business management have many links, such as cost, taxation, profit, budget, etc. are all important parts of business management. Professional accountants are irreplaceable important talents in business management.